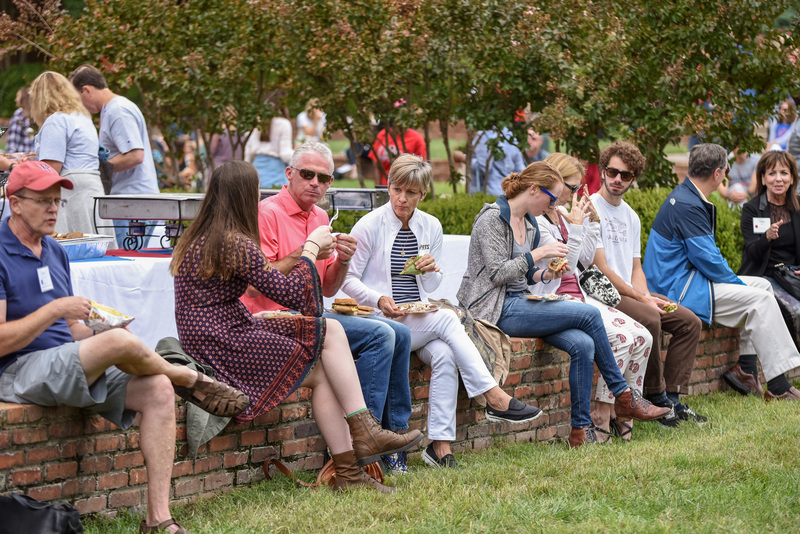 Belmont’s Family and Parent Program hosted its annual Parent and Family Weekend on campus September 30 – October 2 and welcomed more than 1500 guests to campus, nearly doubling last year’s event attendance. Led by Program Director Debbie Sprang and Ryan Holt, director of new student orientation programs, the weekend included a number of events that provide opportunities for parents and families to get involved in meaningful ways across campus. The weekend began with a Concert Band Performance in the Massey Performing Arts Center and featured a number of additional events including movie screenings, theatre performances, sporting events, a fun run, opportunities to meet regional neighbors, worship services, meet and greets with key faculty members, Nashville excursions and a tailgate picnic, among others. All events were centered around three main objectives—providing parents and families with the opportunity to experience Belmont, get connected and explore Nashville. With record attendance behind them, Sprang and her team have more events planned for parents and families this semester. Those interested are encouraged to attend an Alumni & Parent Night at the Curb on November 19 to cheer on the Belmont Bruins Men’s Basketball team in their season home-opener against Western Kentucky University (Belmont will treat each family to a pre-game dinner). For those who aren’t local, the University is hosting an opportunity for Belmont families and alumni to gather in Tampa on November 21 when the Bruins take on the University of Florida at Amalie Arena.